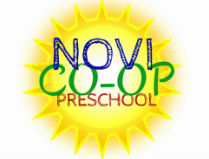 This ﻿introd﻿uctory ﻿﻿preschool class is designed for younger children and their parent or caregiver, and are led by our preschool teachers. Our teacher helps the children in their first steps toward socialization and a love of learning. The program incorporates age-appropriate activities including crafts, sensory play, and circle time including songs, finger plays, and stories. These activities are meant to help in the fine-motor, gross-motor, sensory, and social development of your child. ​Children should be 2 years old by the first day of class. *Please note there must be a minimum of 4 students enrolled for each class to be held. **Additional sessions may be added to accommodate additional students.